Want your kids to remain calm, stress-free and perform better in school? Get them to do these yoga asanas. Who says kids are not stressed? Whether it is scoring good marks in exams and beating competition, undergoing traumatic life incidents or dealing with bullies, completing homework or balancing extracurricular activities with studies, children are exposed to massive amounts of stress. A new research in the Journal of Psychological Science says that stressful events during early childhood, like trauma or poverty, could regulate the brain’s stress response system and may have effects on the overall health well into adulthood. 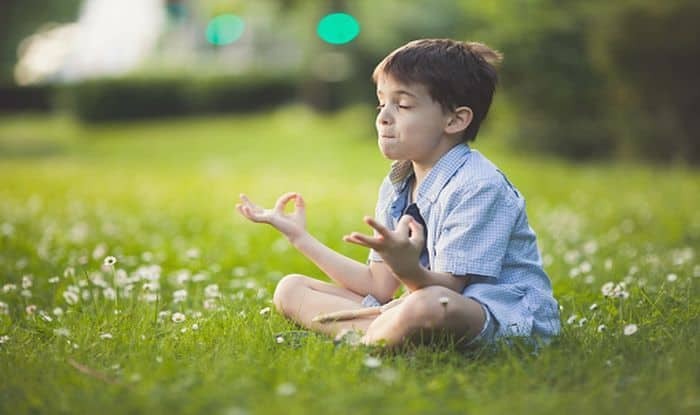 According to the article, the stress you experience in early childhood could make the stress-response system ‘more sensitive to stressors that emerge later in life.’ This is why yoga, one of the best antidotes to stress, is highly recommended for kids. Here are some easy yoga asanas parents must ensure their kids do every day to remain stress-free. Deep breathing: This is one of the easiest exercises you can make your kids do. All they need to do is sit comfortably, preferably on the floor in a cross-legged position. Let them place their one hand on the belly and the other on the lap. Ask them to close their eyes and gently inhale slowly to the count of four. Then let them exhale slowly to the count of four. Just ten minutes of this every day will help them de-stress, make their concentration stronger and help them calm down. Adho mukho svanasana or downward facing dog: The constant burden of school bags and school exams can make their muscles and spine weak. This is one of the best poses to help them relax muscles. Ask them to lie down on their stomach and place the palms near the head and point the toes downwards. When they exhale, let them gradually move their hands up to raise their buttocks and make their feet flat on the floor. Let them stay for 5 counts and then come back to the beginner position. Paschimottanasana or seated forward bend pose: This will relax the nervous system and increase the blood flow to the brain. Ask them to sit down with the legs straight together in front. With their hands on their knees, ask them to bend their head and back to touch the toes without bending the knees. It is best to do these yoga asanas in the morning. Make sure you get a certified yoga expert to teach these yoga asanas to your children. You must ensure that they do these under supervision. Check with your yoga teacher to find out if the yoga asanas are safe for your kid.